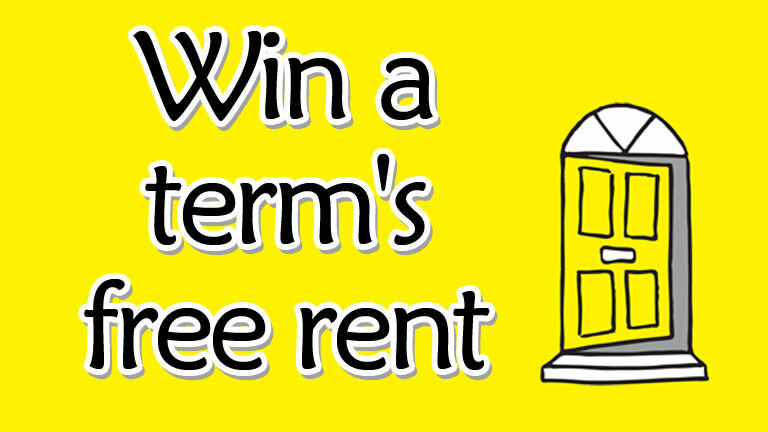 Win a term's free rent with Yellow Door Lets! Home 2017-2018 Win a term’s free rent with Yellow Door Lets! One lucky individual tenant who has signed up for a house for the 2017-18 academic year will win the last term of their rent completely free – that’s a saving of over £1000! Every student who signs up to rent one of our properties will be entered into the draw. The lucky winner will be announced in May 2017.